consider removing from its platform content that advertises the use of or enables the sale of illicit narcotics, including the sale of prescription drugs without a valid prescription. We further request that [it] consider action to ensure that future, similar content is banned. ASOP is also one of the principal contributors to United States Trade Representative (USTR) reports such as the Special 301 Report and the Notorious Markets List, and it makes similar censorship demands in its submissions to those reports. For example in its submission [PDF] to the 2017 Notorious Markets report, ASOP recommends that domain name registrars should "voluntarily lock and suspend illegitimate websites" rather than requiring a court order. By "illegitimate", ASOP doesn't mean that the website is selling fake drugs; its complaint extends to branded drugs that are merely "transported without the requisite quality controls" (ie. sent through the mail). Neither is it targeting only recreational drugs; ASOP's submission acknowledges that most overseas drug sales are for "chronic illness and/or maintenance drugs for diseases such as HIV/AIDS, hypertension, [and] hypercholesterolemia." Rather, an "illegitimate" online pharmacy in ASOP lingo is one that doesn't comply with U.S. law that prohibits online medicine sales from overseas—even though, because they are overseas, they are not actually subject to U.S. law in the first place. There might well be a case to be made for tighter regulation of sales of prescription and non-prescription drugs online. But to progress from that proposition to the proposal that information about such drugs should be censored from search engines and online marketplaces, and without a court order at that, is quite a leap. It's concerning that ASOP's recommendations are often incorporated holus bolus into the USTR's reports without independent verification, and that the responsibility for fact-checking of its claims is placed on rebuttal submissions from third-parties. We are even more concerned about the approach taken by the Senators who wrote the letter to major platforms. For U.S. 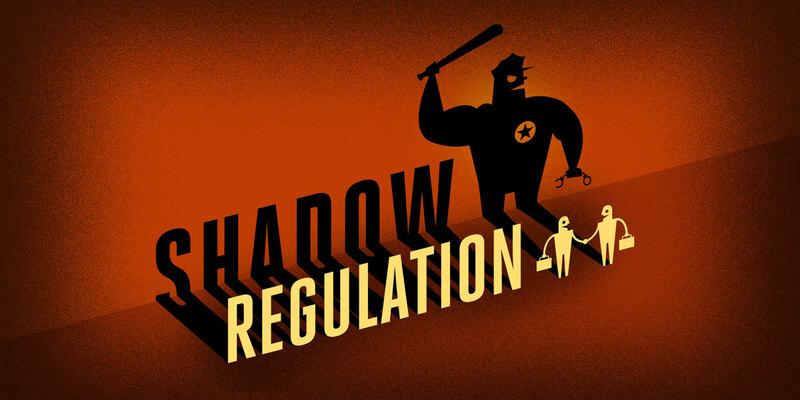 Senators, with the imprimatur of official authority that their offices represent, to prevail on platforms to privately censor content, is a blatant form of Shadow Regulation, intended to intimidate them into compliance. If the Senators are serious in their desire for these Internet platforms to censor organic search results, they could table a bill aimed at achieving that object, and have it debated in both houses of Congress. Instead, knowing that such a law would likely be unconstitutional, they are seeking to achieve the same result without a transparent and accountable lawmaking process. The Senators should know better, and we encourage platforms receiving such letters to resist these extra-legal demands.